Falling Water Gardens is nestled right outside downtown Monroe, surrounded by green pastures of farmlands, gorgeous display gardens, and many beautiful water features. 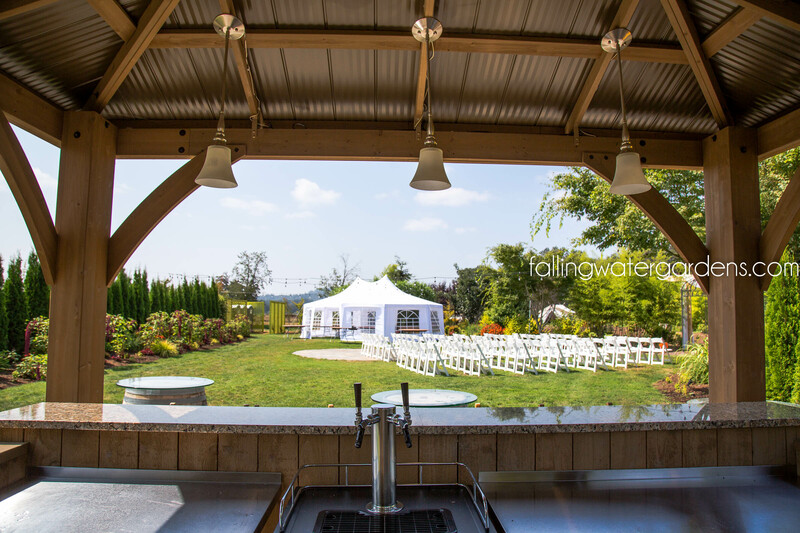 Truly a one-of-a-kind, unique wedding venue! 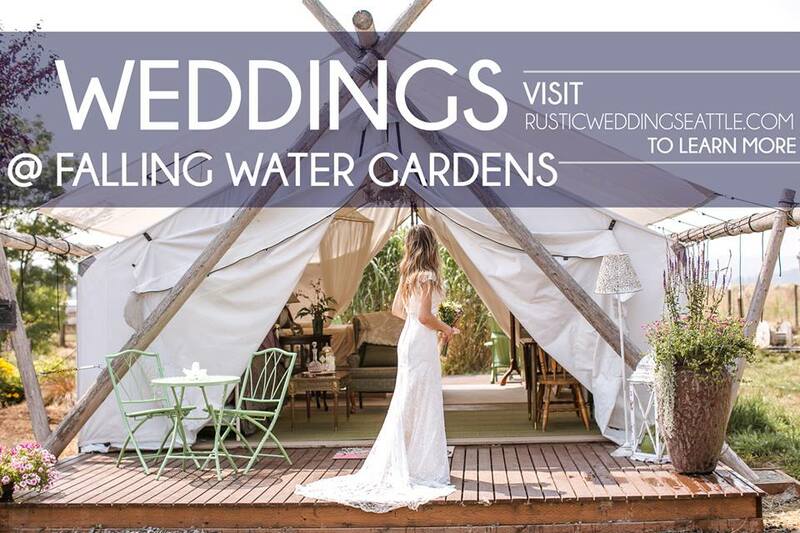 Our wedding package includes two glamping tents (perfect for bride & groom to get ready in), tables, chairs, staff, and much more. We’ve got you covered; all you need to do is focus on enjoying your special day! WE DO GLAMPING! You can book now via Airbnb. 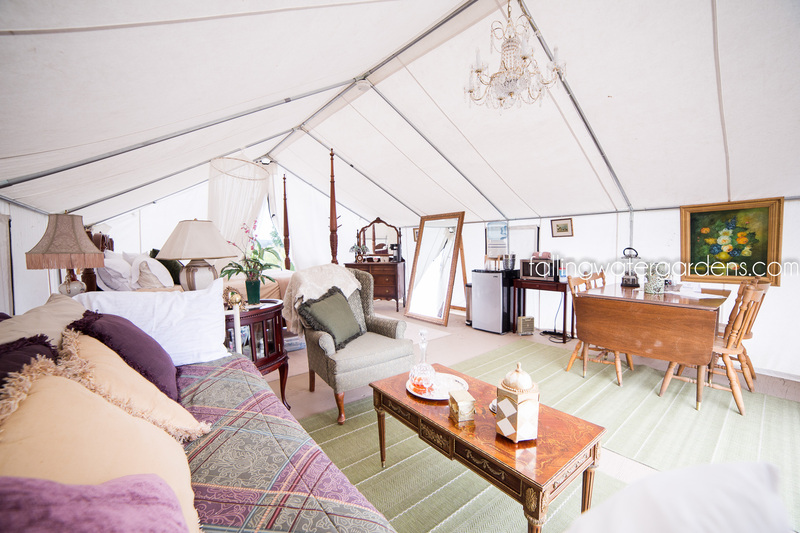 What is GLAMPING? When you’re glamping, there’s no tent to pitch, no sleeping bag to unroll, no fire to build. Glamping is a way to experience the great outdoors without sacrificing luxury! 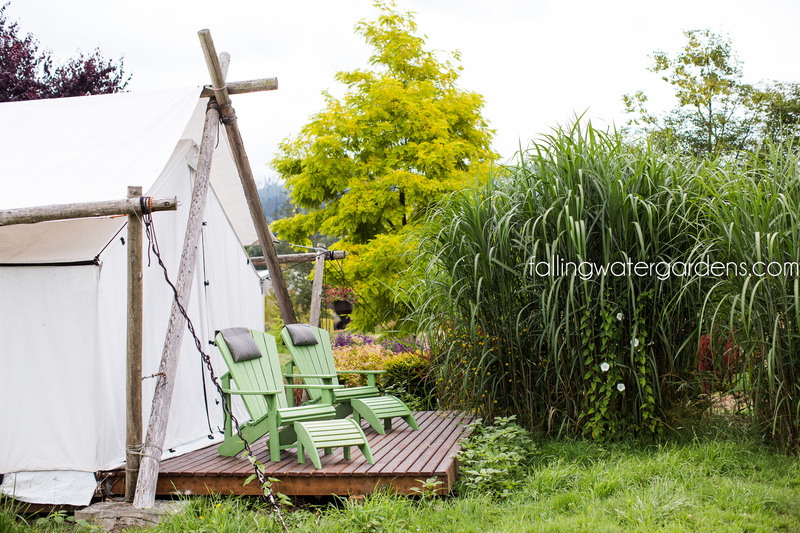 Falling Water Gardens has two fully-furnished glamping tents available during summer months. One tent sleeps two people and the other tent can sleep up to four people. They both feature one queen bed in each tent, with comfy comforters and pillows. Both tents have electricity, coffee makers, water, and a small fridge. Outside the tent, you’ll find a spacious front porch with beautiful views of the surrounding countryside and a common area, with a BBQ and gas fire-pit. These tents are perfect for couples or families. Linen and towels are provided. Laundry is available at an extra cost. 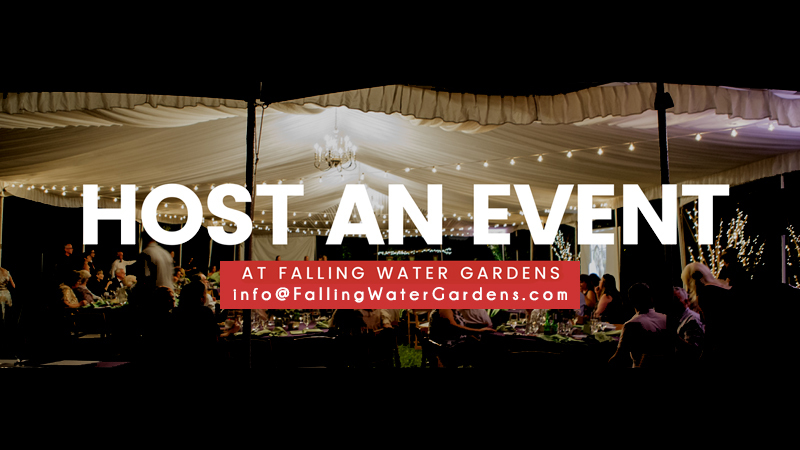 If you’ve got a club, business, or just want to host an event, Falling Water Gardens is the perfect place to do so. Gorgeous grounds surrounded by gardens and water features with several locations to host your meeting or event. Inquire with us: info@fallingwatergardens.com. During the spring & summer, Falling Water Gardens hosts free classes on Sundays at 1pm. 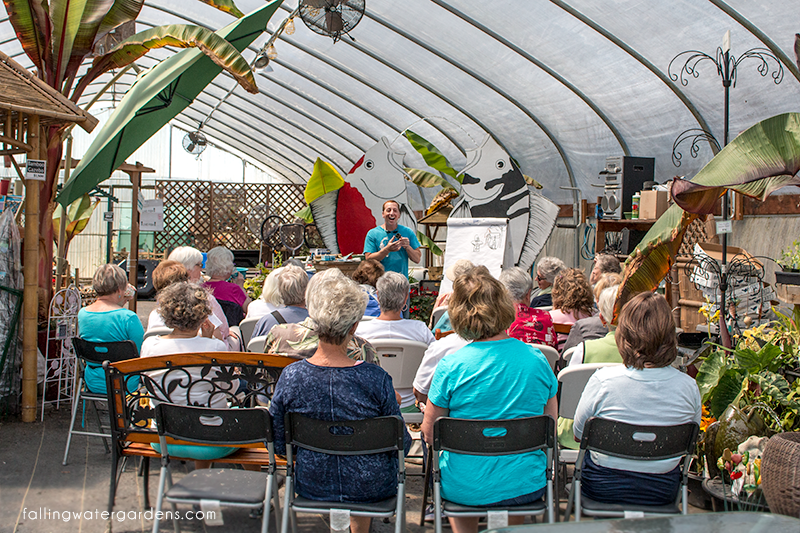 Classes cover a few different topics, from getting your pond ready to creating bubblers and maintaining water features. All classes are free. For more information about each class, visit our classes page. 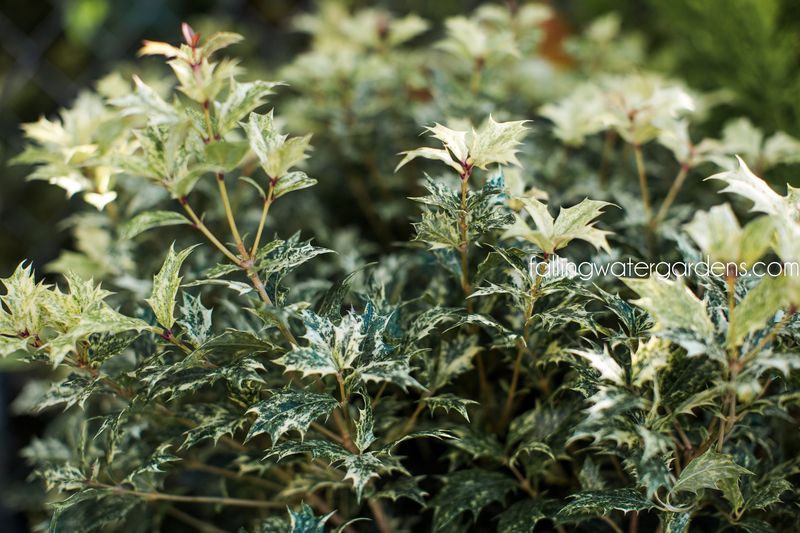 Have you checked out our plant database? It contains information about the plants that we sell at the nursery and more! 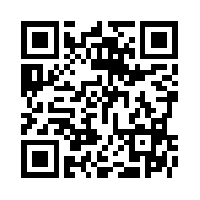 We have even taken it one step further and have incorporated QR codes into the database to help you save and recall information on the plants you are interested in at home or have bought from our nursery. You can bring us the saved plants from this data base to help us locate the ones you want. As well as when you come to Falling Water Gardens you will be able to scan the plant signs to get further information about the plants and flowers. What is a QR code? In the simplest terms a QR code is a bar code. Most smart phones come equipped with a bar code/QR code reader that will scan the QR code and bring you to the web page of information about our plants. From there you can bookmark the page. If yours does not contain a QR code reader already, you can download one for free through your phone’s app store. Please note that we’ve updated our newsletter format. You may navigate through this newsletter by clicking on the page numbers below. Do you sell the firepit that looks like a globe (metal with trees and deer)? There was a picture of it in the February newsletter.